You may have seen this look on Instagram recently, but it’s because I literally live in this stuff most days, it’s a Momiform at it finest! 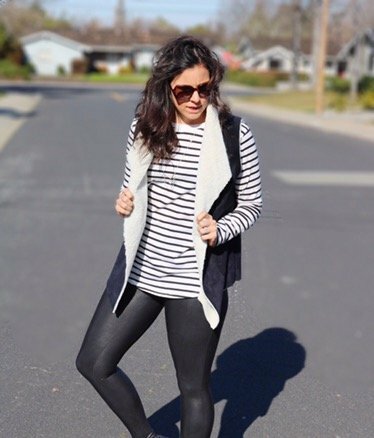 These Spanxs leggings are my new obsession, this tee is amazing (I mean the length is perfect for leggings) and was $19. 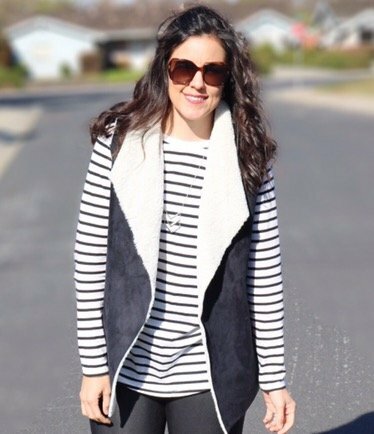 The vest is amazingly soft and was only $20 from Nordstrom Rack, but it’s now ON SALE for $12 (I’ve linked it below). So weekend….WE’RE READY FOR YOU! Thanks for stopping by! Have a fantastic weekend! 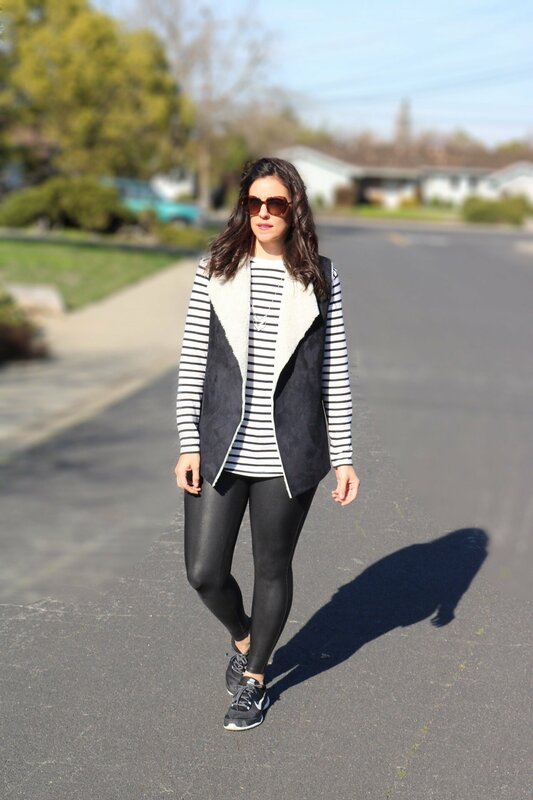 Love the top and the vest cobo! 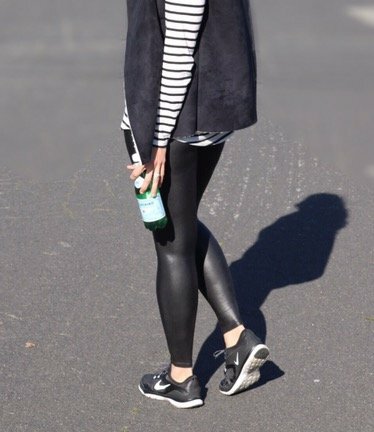 Lovely look on you … the athleisure style at it’s best. 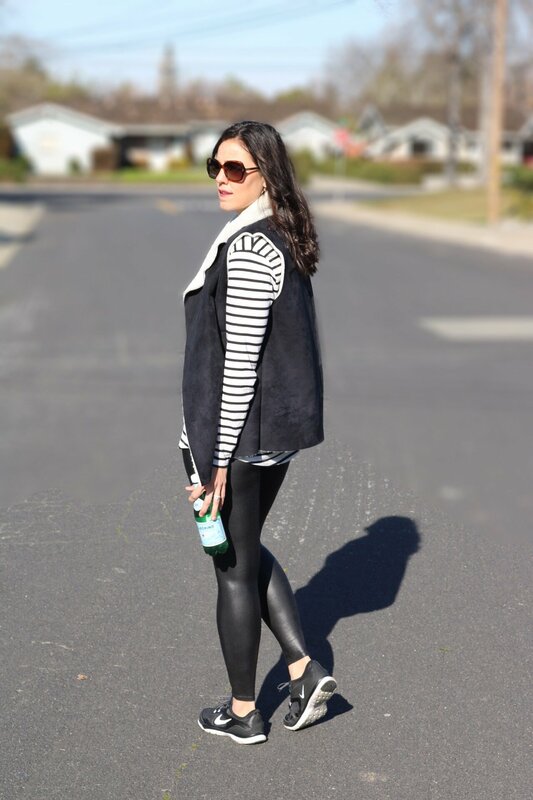 Thank you for sharing your style with my Fine-Whatever link up. Thank you, Rena! Also, thank you for hosting a weekly link-up! Thanks Melissa! It’s just the perfect casual everyday look.